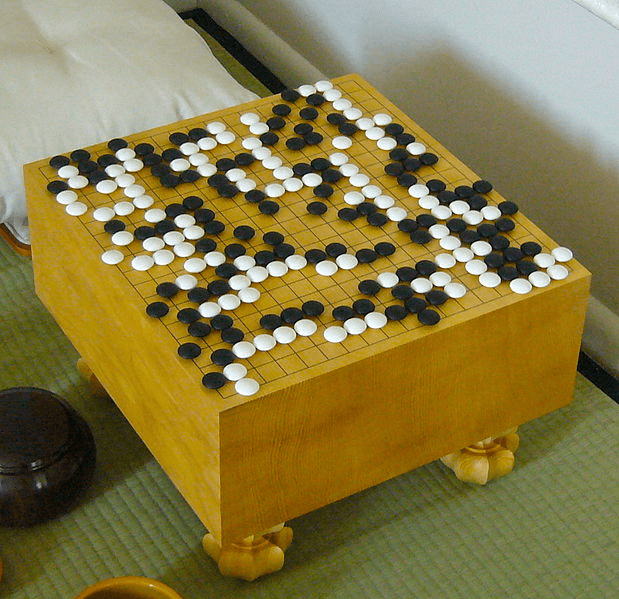 Go is the oldest game in existence, it was invented in China 2,500 years ago. The rules are simple but the strategic thinking required to play well led many people to claim that a world-class human player would never be beaten by a computer. However, in 2016 one of the best Go players in the world was beaten by a computer program called AlphaGo. AlphaGo is an example of Artificial Intelligence (AI). The number of possible Go games is so vast that the number of atoms in the universe and the age of the universe look tiny in comparison. Therefore, for a computer to learn to play through brute force, that is by examining millions of games, seems pointless as countless trillions of games are less than a pin-prick in the vast universe of possible games. Yet, that is exactly what AlphaGo did, it examined thousands of games played by humans and then played millions of games against itself and from that blind analysis, without any strategic thinking, it achieved a level of play beyond any human player. AlphaGo was produced by a company in London called Deep Mind, which was acquired by Google in 2010 and is now part of the Alphabet group. The latest version of AlphaGo is called AlphaGo Zero and it takes the program to a new level of capability. AlphaGo Zero started with just the rules and no prior knowledge of the game. It did not analyse any human games and only played itself yet within three hours it played like a human beginner, within 19 hours like a human expert and within 70 hours it surpassed all human players, and it never stops learning. The next step is to apply the same approach to solving other complex problems, such as finding new drugs, diagnosing diseases, reducing energy consumption or searching for revolutionary new materials. We can only speculate about its ability to solve other problems such as weather forecasting, economic forecasting, predicting human behaviour and reading human thoughts. The latest AI research work at Google has found a way to use the same mechanism to solve many types of problem and to combine different problem solvers in order to tackle a wide variety of problems. AlphaGo Zero and most of the other recent artificial intelligence (AI) systems are based on neural nets and suffer from one major problem, they are unable to explain their actions. Neural nets are impenetrable, like the human brain. Why do I say, ‘like the human brain’ when our thoughts appear open to us. When we are asked ‘why’ we can give a considered response that explains our reasoning. However, is this what is happening? Back in 1976 in my PhD thesis I speculated that there are two mechanisms at work. There is an underlying brain machine that analyses our environment, controls our body and makes decisions and there is a separate but integrated language system that believes it is in control and uses language to construct reasons why the other part of our brain has done something. The combination can model the world and forecast the future better than the brain system on its own. When we are asked ‘why’ it is our language system that constructs a set of reasons to explain what we have done or said. As a footnote, you may be wondering about free will. Well, that depends on what you mean. If you mean the ability to make decisions and control one’s behaviour without constraint and in response to reason then that can be achieved through the combination of the brain machine and the language system. However, generally our actions and decisions are constrained by our unique genetic makeup and the circumstances of our upbringing but this does not free us from responsibility or remove the appropriateness of praise or blame. We take what we consider to be the best action in all the circumstances of our individual makeup. So we are predisposed free agents, as is AlphaGo Zero. See The Economist, 21 October 2017, pp. 80-81 and New Scientist, 21 October 2017, p. 9. This entry was posted in Uncategorised by shafe. Bookmark the permalink.